One of the best things about Boxer engine cars is that they’re always getting new upgrades, improvements, and tweaks. The new 911 Carrera gets the same stellar attention. The engine’s already a powerhouse that delivers exciting power and assertive acceleration. What can yet more improvements bring? 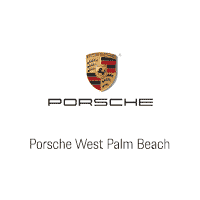 The newest 911 Carrera S and 911 Carrera 4S are the beneficiaries of these improvements. Power output is improved to 443 horsepower. That brings out 390 lb-ft of torque. How does this translate into speed? The new 911 Carrera S models can accelerate from 0-60 mph in just 3.5 seconds. With the Sport Chrono Package, that’s brought down even further to a mere 3.3 seconds. Boxer engine cars have always been mindful of their emissions, and are made to adhere to strict standards around the world. Keeping ahead of this curve is important, so the engine is freshly optimized to surpass emissions standards across the globe for years to come. 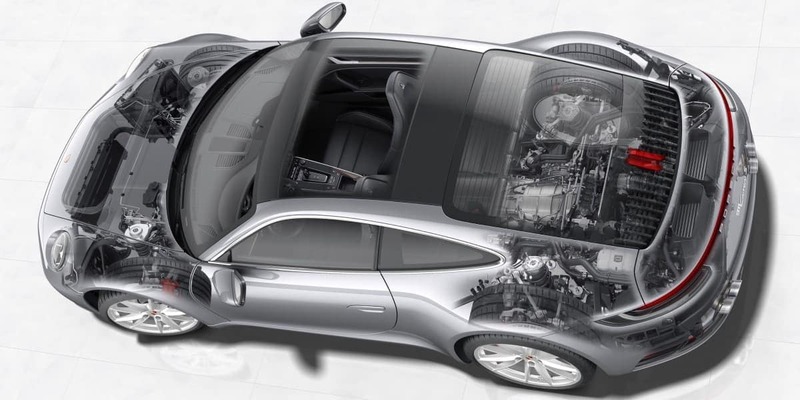 Porsche has done a beautiful job of figuring out exactly what the engine needs, down to every little detail. Even the valve lifts are configured differently for optimum performance in each cylinder. Working together with an added swirl flap, these improvements contribute to better fuel mixing, reduced fuel consumption, and reduced emissions. The injection valves of the direct fuel injection are even faster to open and close for precision distribution of fuel. The new turbocharger core has larger compressor and turbine sides built for a redesigned turbo manifold made from cast iron. Improved symmetry gets more optimal flow ratios. Intercoolers are expanded in a new redesign – this improves the air intake and exhaust. Now there’s a new 8-speed dual clutch transmission, with even more lightning quick shifts and more efficient acceleration than the famous 7-speed. The major takeaway is that the newest 911 Carrera cars are blazing fast, with better power, seamless and aggressive acceleration, and even improvements in fuel consumption and emissions.